In a world filled with amazingly luxurious hotels, Macau’s Morpheus — part of the City of Dreams complex — stands out for two reasons in particular: its awe-inspiring, Zaha Hadid–designed structure, and its unparalleled collaboration with legendary chef Alain Ducasse. 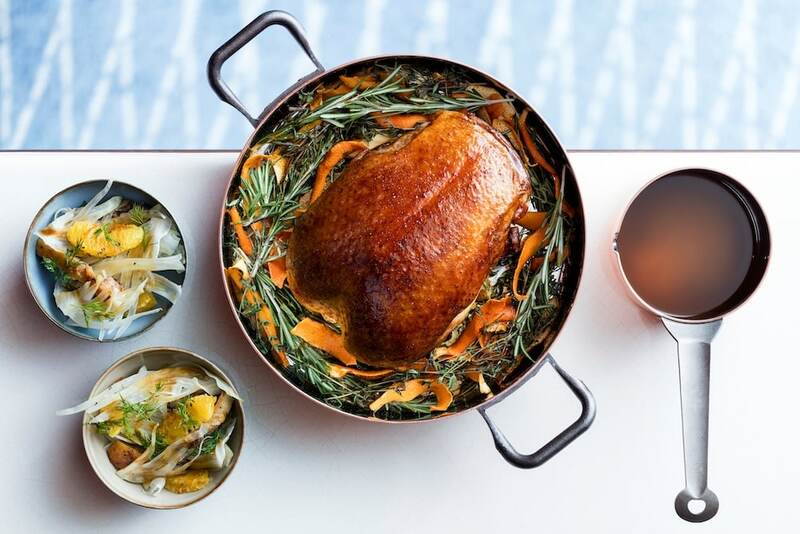 Home to not one but two Ducasse restaurants — two-Michelin-starred Alain Ducasse at Morpheus and the more casual, bistro-like Voyages — Morpheus presents diners with some of the best food in all of Macau. 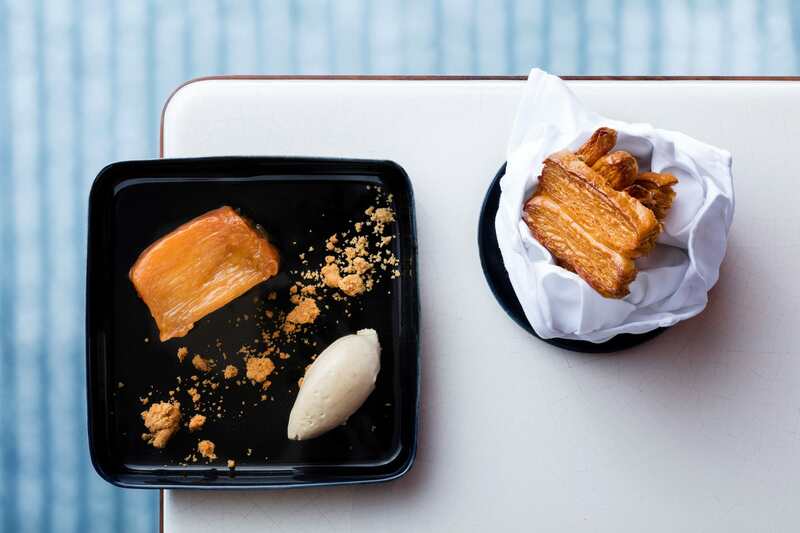 Yet while haute French gastronomy and exquisite tasting menus have their place, a recent visit to Voyages taught us to appreciate the simpler pleasures of the French classics being served there. 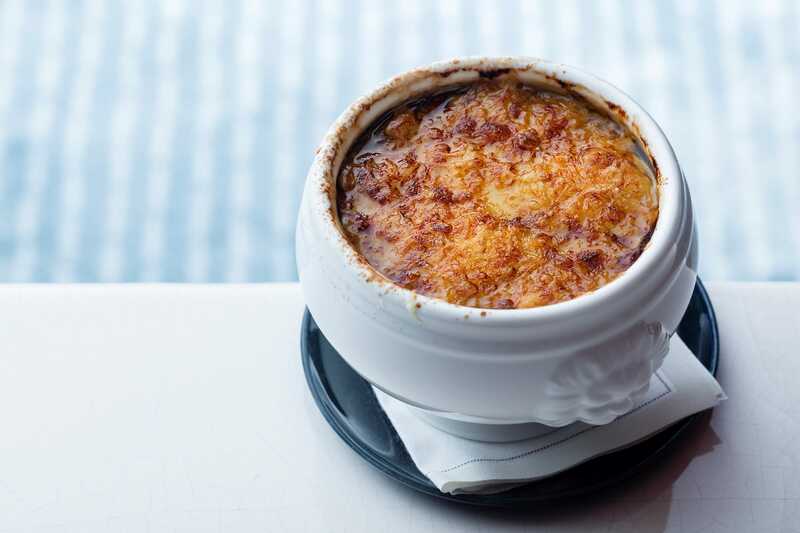 With a kitchen headed up by Executive Chef Anthony Bacle, Voyages takes diners on a journey to different regions of France with a skilfully executed menu of comforting, nostalgic dishes such as dishes like a savoury cheese soufflé, irresistibly good frog legs and pike quenelles in the Lyonnaise style. 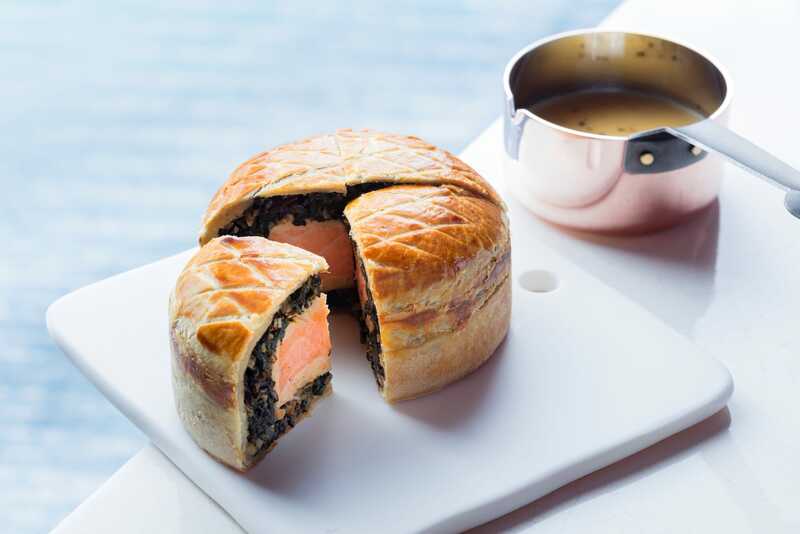 Kouilibiac salmon, a piece of fish encase in vegetables and herbs and wrapped in pastry, may be less familiar to diners, but it’s a show-stopping dish nonetheless. The dessert offerings are equally decadent and delicious, including the signature classic vacherin, a tangy yet refreshing raspberry ice cream served with crisp meringue and silky vanilla whipped cream, profiteroles served with hot chocolate sauce made from premium chocolate from Mr. Ducasse’s own manufacture in Paris, and the deconstructed tarte Tatin. 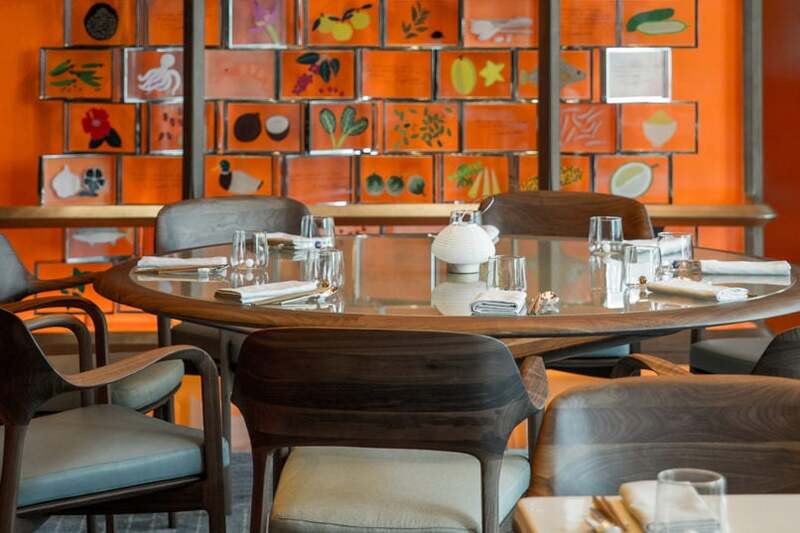 At an Alain Ducasse restaurant, no element is overlooked, and that extends to the aesthetics of the space. 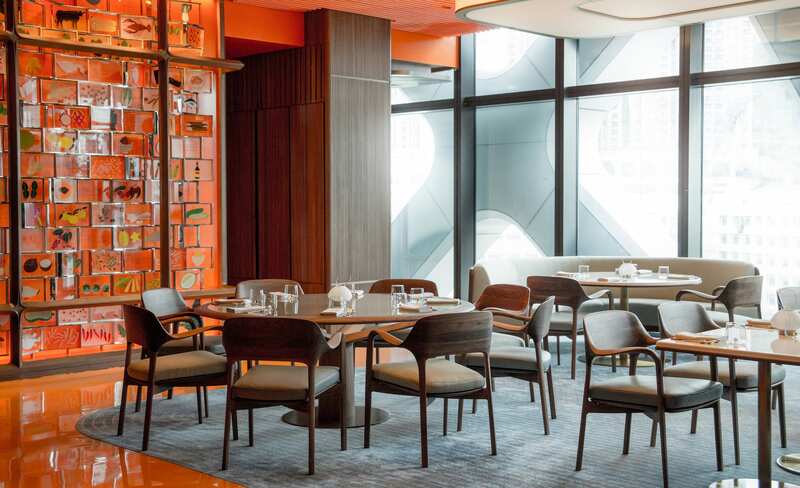 Voyages is handsomely outfitted in dark wood interspersed with splashes of orange, proving a vibrant, modern feel to the dining room that extends to the picturesque bar and midcentury modern furniture. Art features prominently: French artist Léa Maupetit’s drawings of iconic ingredients are mounted on one wall, while another wall features an octopus painting by Parisian artist Romain Bernini, who is known for his evocative use of vivid colours. Curious to learn more about Voyages, we stole a few minutes from chef Ducasse’s packed schedule during one his recent visits to Macau to chat about inspiration, what his favourite local restaurants are and what he cooks at home. 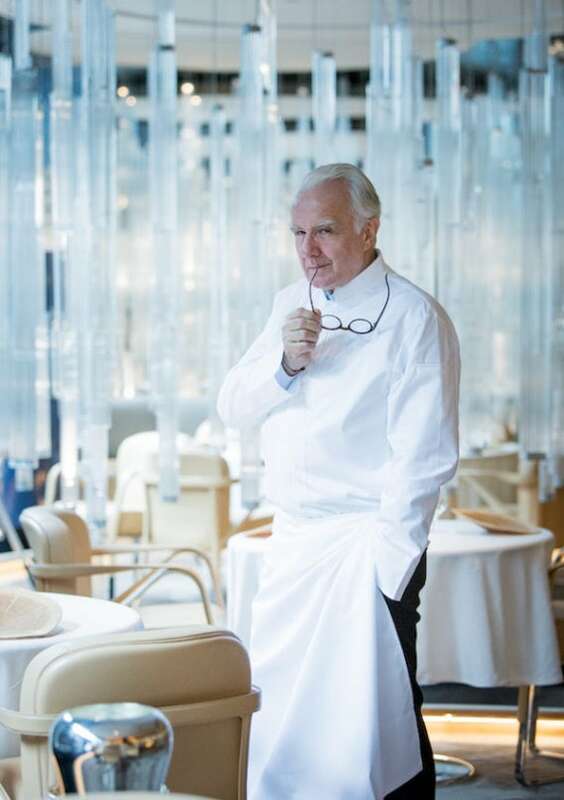 The chef inside Alain Ducasse at Morpheus. Tell us about Voyages. What should diners know before visiting? 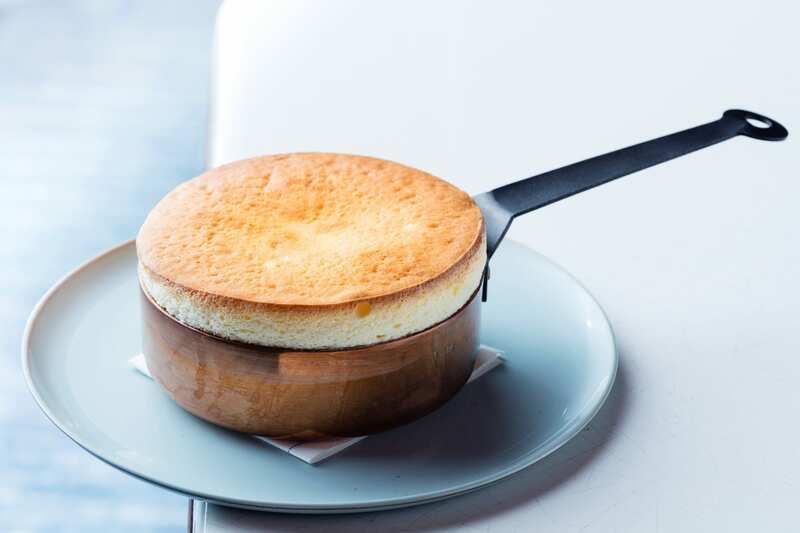 Voyages is the perfect combination of my interpretation of classic French cuisine — in a contemporary way — with the right tableware, the right atmosphere, the right wine pairing to create the perfect harmony for the experience I want to deliver. 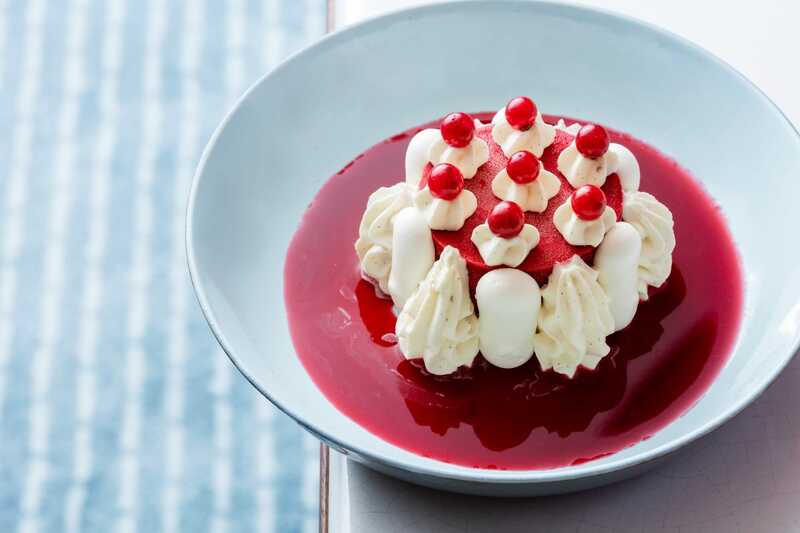 It’s like all the ingredients that are gathered and combined to have the perfect recipe — a true and genuine experience of French gastronomy. We put a lot of time and effort into the design to make it not just a restaurant, but a destination for diners, and for them to feel as well the aesthetics of the settings. For me, it’s all about the balance between what you eat, where you eat it, with whom you eat it, by whom is it presented in terms of service, to get this perfect harmony. This is something that comes up a lot: the harmony of the experience. 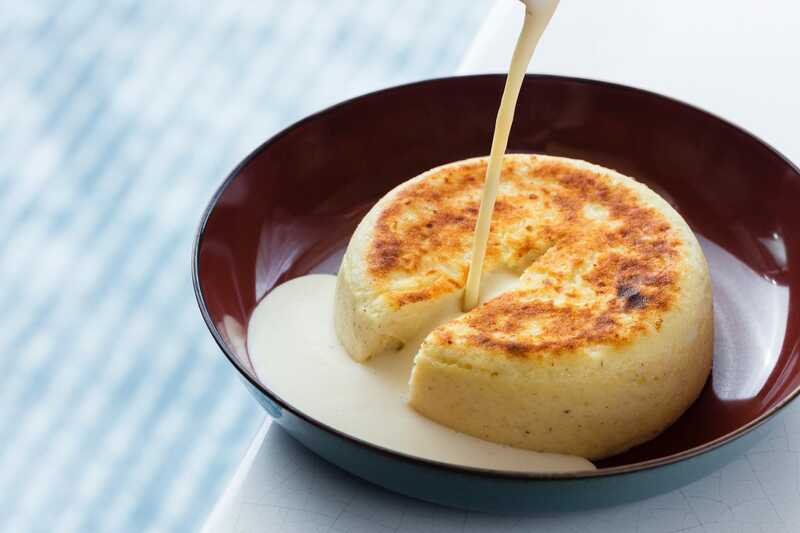 At Voyages, we bring the diners to discover the rustic and traditional French cuisine and the cuisine of different regions of France. 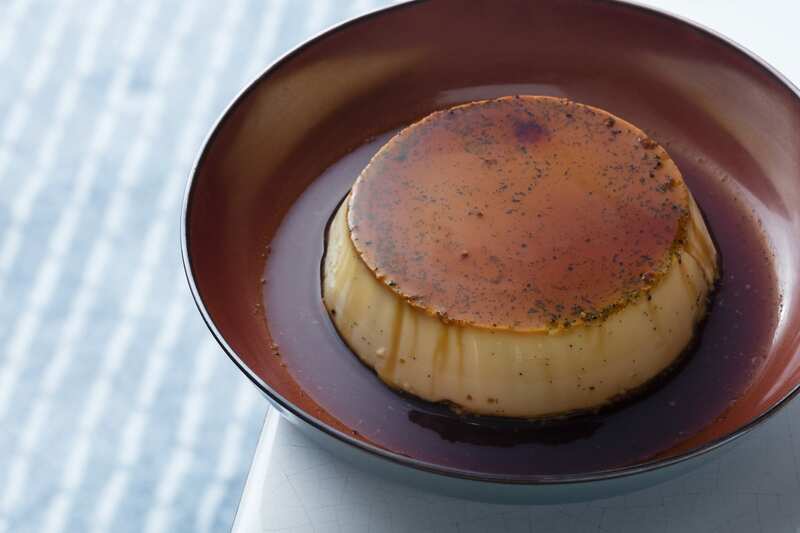 It’s not the cuisine of a chef, it’s the cuisine of a terroir for diners to experience. Where did the inspiration for Voyages come from? The inspiration came from a long journey around France to discover and experience the different cuisines inside the country. We use French ingredients and techniques, everything is from France. When you come to Hong Kong, which is a couple times a year at least, are there any specific dishes you must eat, or certain restaurants you visit? I always try to go for a different taste, to discover something, always with a very high level. 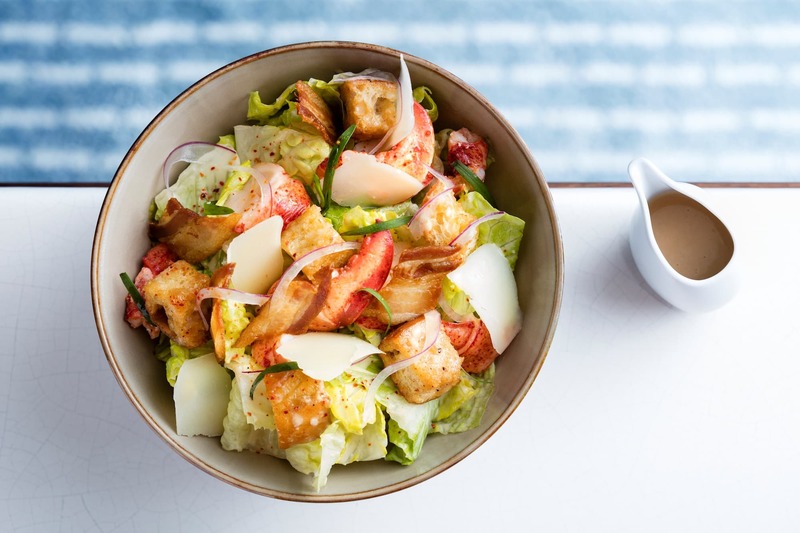 Competition is quite present in Hong Kong and Macau, and it benefits the diners, all this competition. In Macau, I like Jade Dragon for Cantonese. In Hong Kong, Ho Lee Fook — I like it very much. 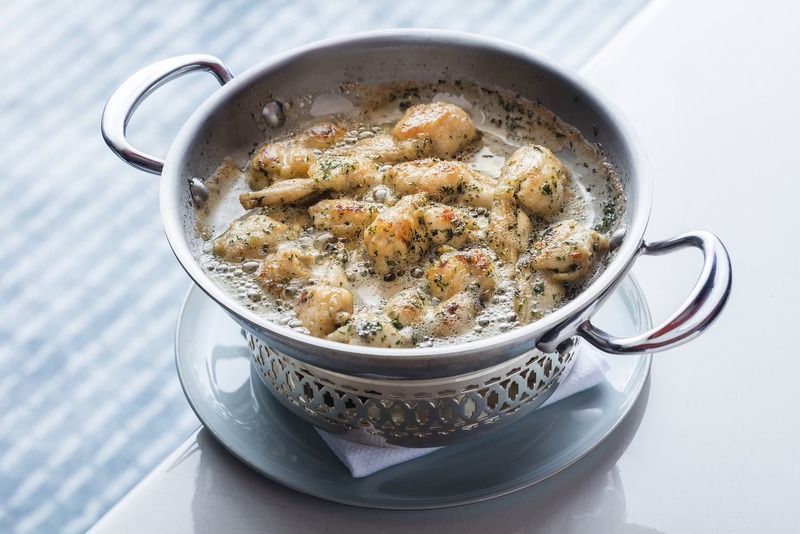 Apart from French cuisine, which country's cuisines are your favourites?